The Charles F. Stanley Life Principles Bible delivers Dr. Stanley's cherished values to benefit every Christian in his or her life's pursuits. With more than 250,000 in print, The Charles F. Stanley Life Principles Bible communicates the life principles Dr. Stanley has gleaned from the Word through his years of Bible teaching and pastoral ministry. The result is a Bible overflowing with practical articles, notes, and sidebars that help readers understand what the Bible has to say about lifes most important questions. NKJV Charles F. Stanley Life Principles Bible: Black, Leathersoft by Charles F. Stanley was published by Thomas Nelson in October 2011 and is our 23726th best seller. The ISBN for NKJV Charles F. Stanley Life Principles Bible: Black, Leathersoft is 9781418548063. 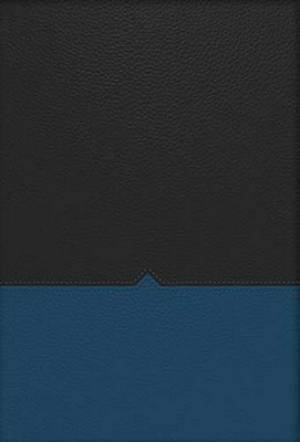 Be the first to review NKJV Charles F. Stanley Life Principles Bible: Black, Leathersoft! Got a question? No problem! Just click here to ask us about NKJV Charles F. Stanley Life Principles Bible: Black, Leathersoft. Are the words of Christ printed in red in this Bible? A:This Charles Stanley edition features a 10 point font size; book introductions, maps and a full concordance are also included.